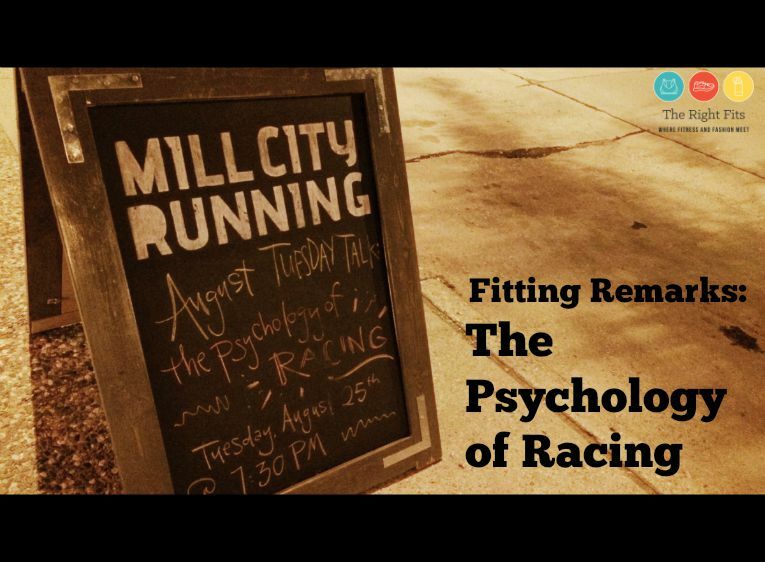 Last Tuesday night, I attended a “Tuesday Talk- The Psychology of Racing” at the Mill City Running store. 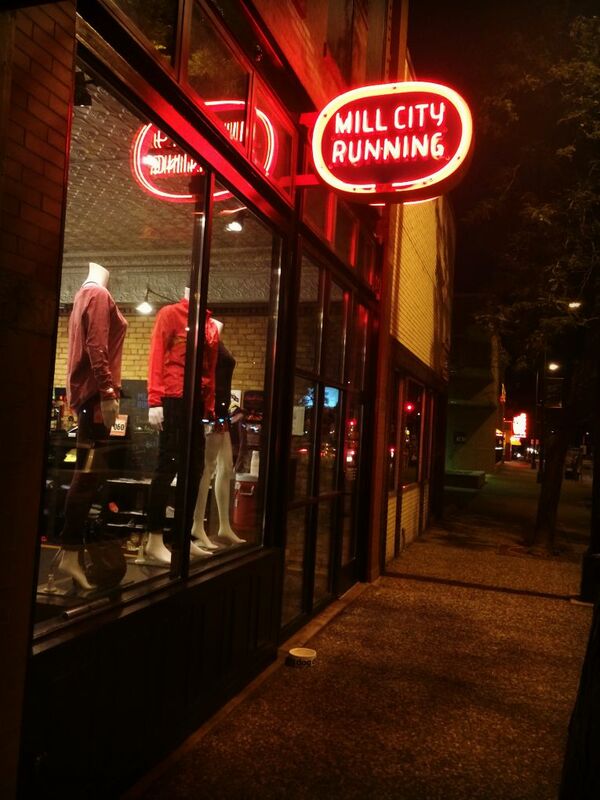 Have you been to Mill City Running? What a cute “boutique” running store! If you haven’t been, definitely check it out. They host “Flapjack Friday” runs every week at 6:30 am. I went to one a few weeks ago and it was a blast! This was a free seminar last Tuesday about the psychology of racing hosted by Dr. Allie Wagener, a Licensed Psychologist with a specialization in sport and performance psychology. If you have been reading for awhile, you might remember that I went to a similar seminar at TC Running Company last fall. Read all about that one HERE. 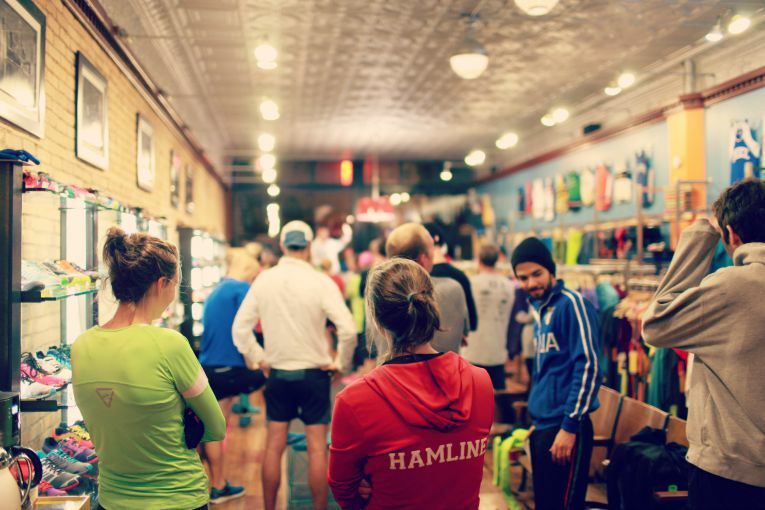 I found a lot of value in that seminar, so I was excited to attend this one at Mill City Running. Allie started off the night by having us write down all the reasons that we love running. She had us share one of those reasons with our neighbor and talk about the feeling that came up when we shared our reason for running. What are the reasons you love to run? Of course, when sharing my reasons, I felt joy, pride, and excitement. Next, she told us to think back on our last race. What feelings came up leading up to, and then at that race? All of a sudden the feelings about running changed to negative. What happened? What happened to running, that it went from all these positive awesome things to negative stressed out feelings? “I believe that I can”. By changing our phrasing, we can get back to the positives, the reasons we love running. We need to re-focus our approach to running and reconnect with those reasons we run even when racing. 2. How do we stay focused during a race? Microsoft did an attention span study on humans and determined that our true average attention span was 12 seconds in 2006. In 2013, when they redid the study, it had decreased to just 8 seconds! As a point of comparison, goldfish have a 9 second attention span. Clearly, we are very easy to distract. It is so easy to get lose your focus when racing. Our thoughts are distracting. That nagging discomfort? Totally made you lose your focus, right? But its important to know how to stay focused on the race and the goal in front of you. We know that its human nature to become distracted. How can we be mindful and live in the present moment? It is possible to increase mindfulness. Take the time during your run to bring the focus in. Mantras are a really helpful to keep the focus. Short phrases or even one word repeated again and again can help you remember why you’re racing. We should put our pain and fears out there to help us deal with them in a rational way. Change your relationship with the pain. Stop your crazy thoughts by acknowledging that they are crazy by speaking of them in a crazy way! The final topic that Allie discussed was goal-setting. She started by instructing us to REACH YOUR HANDS ABOVE YOUR HEAD AS HIGH AS YOU CAN! We all raised our hands up high. We did. We raised them up a little higher. And you know what? We all did. We all were able to reach our hands a little higher. Even though Allie has instructed us the FIRST TIME to raise our hands AS HIGH AS WE COULD, we didn’t. We didn’t raise them as high as we could the first time, even though we might have THOUGHT we were raising them as high as we could. Why not? What are our barriers to inches? Why didn’t we raise our hands as high as we could the first time? Nobody wants to fail. What if we can’t reach higher? Sometimes it hurts to reach high. I bet you can see where this is going right? This little exercise was clearly about running. We don’t perform to our potential for so many reasons, even though in reality, we can reach higher. Even though you think you’re running as fast as you can, you can run faster. This all seems like common sense, right? Sure, but I still think its valuable to hear it! I felt really motivated afterwards. I was all pumped to REACH HIGHER at my half marathon the following Saturday. And I did! The power of the mind is pretty amazing. One other useful tip Allie gave us was to keep a “Success” journal. A lot of runners keep running journals with all their runs, paces, etc, but those journals or tracking devices include all the runs, even the bad ones or the so-so ones. She suggested creating a scrapbook of GREAT runs. You can include pictures from races where you were successful, or notes about times that you felt AMAZING. Then when a bad run happens, you can refer back to your “Success” journal and get your confidence back! I hope this recap was helpful to you! Do you keep a running journal? What about a “success” journal? I’m glad you enjoyed the recap. It was a useful seminar. I always have to remind myself that discomfort is a part of racing- its a sign that I’m pushing myself. Its how I know that I am getting closer to my goals! I need to hear your Fargo voice 🙂 I’m sure its great! I LOVED this post! 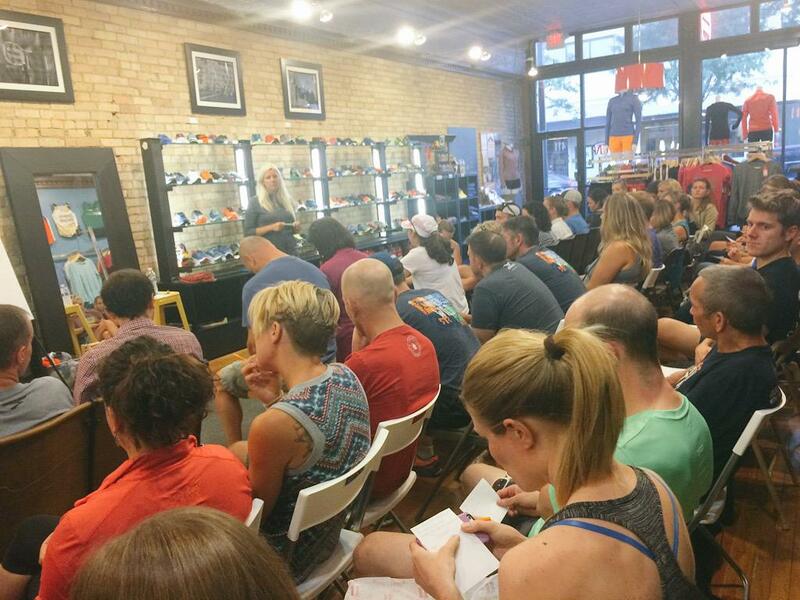 Makes me wish I lived in Minneapolis even more for all of the great running community there and seminars like these! 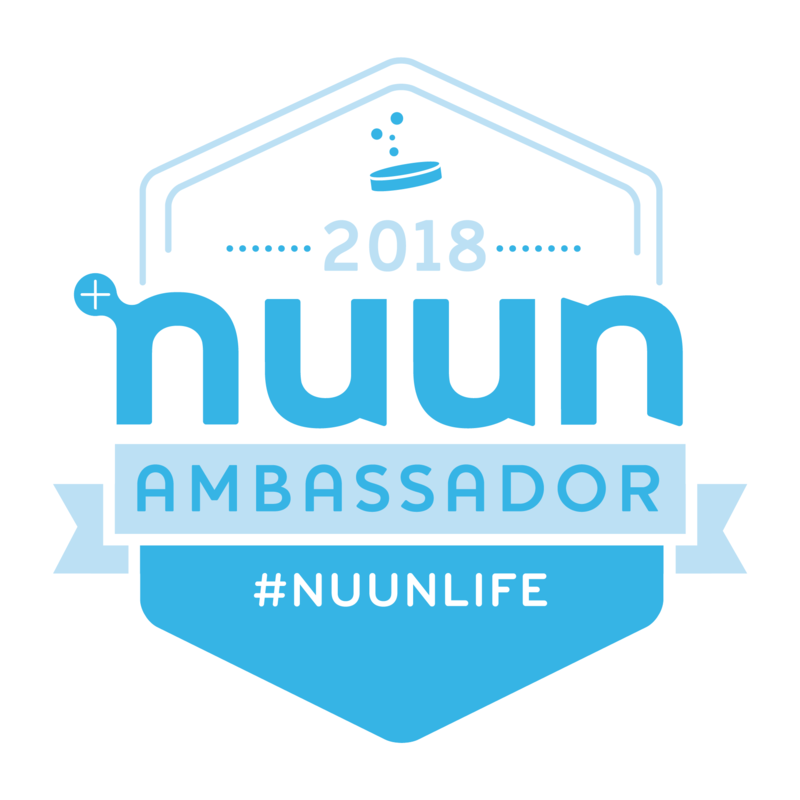 I loved it all, but especially the part about remembering why you love to run – that to me is so important when I’m not feeling it because of course afterwards I am always glad I did. Thanks for the recap – it was so thorough for those of us who couldn’t have attended even if we had wanted to! Thanks Alli P. for your comments, I’m glad you enjoyed the recap! I also always need to remember why I love to run, especially when the going gets tough during a race! Great post. Sounds like a really interesting seminar.